These days my weeks are filled with manuscript writing, proof reading, editing, formatting and everything else that follows. While it’s very satisfying to immerse myself in longer projects that take many months to complete, I’ve also rediscovered the fun in blogging, the refreshment of forming an idea within one or three days and publishing it within the same time frame. I’ve been experimenting with visualizing ideas through drawings, poking the hornets nest of language acquisition ideologies and lately even a short piece on Biblical language. Writing and “finding the right words in the dark” – as a Spiegel journalist recently wrote about Tom Wolfe – is hard work. 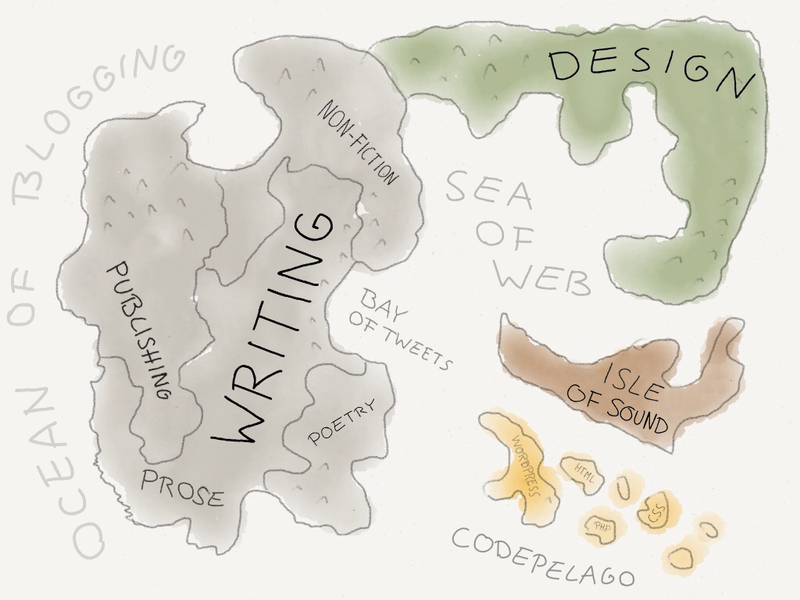 Blogging is the speed painting of text composition. It’s fast and often unpredictable. There’s nothing like working on a text for months and knowing that you’ve checked each paragraph a gazillion times, seeing the different former variations of the final sentences shimmer through like onion layers. If writing a book or longer essay is like a lecture or well prepared film to be consumed by the audience, blogging is like a conversation. It’s always half-finished, words dangling in the air, inviting participation, kneading the dough of ideas together with the reader through exchange of comments, emails and tweets. When I look at it now, it seems that blogging and “booking” (the process of writing and making books) necessitate each other. Without the latter, daily posting can get evanescent quickly, and without the former, the manuscript work can feel out-of-touch with daily events.